Cooking according to tastes: There exists no written recipes in India and the individual is encouraged to orchestrate a dish by using fresh, seasonal and local vegetables. We use spices sparingly and our foods are not necessarily hot. Besides spices we use lots of herbs and other natural seasonings to make our foods sweet, sour, salty, bitter, pungent and astringent. Cultural Influences. Many Indians are vegetarians having been influenced by Buddha (Indian King and founder of Buddhism). Mahavir (founder of Jainism) and King Ashoka. Our cuisine has been influenced by the Aryans settlers, the Arab and Chinese traders and conquerors such as the Persians, Mongolians, Turks, the British and the Portuguese. Ayurveda. India's ancient science system, has given India a comprehensive system of health, diet and nutrition. India's cuisine has been shaped by this science. Ayurveda is the common thread that runs through the varibussub cultures/regions of India. Otherwise, the cuisine can be vastly different from region to region. Diversity: India is a large country, almost the size of Europe, and has a greater diversity of people, language, climate, cultures "and religion than almost any country in the world. 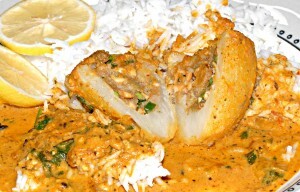 Consequently, Indian cuisine is also diverse. Royal Kitchens of India: Under the patronage of the rajahs of India the art of food was elevated to a high level of advancement and professionalism. The royal chefs understood the finer points of food, the art of presentation and created exquisite preparations.